Women taking birth control pills should not blame their method of contraception when they put on a few pounds. A newly published review suggests that there is no truth to the widespread belief that oral contraceptives and other forms of hormonal birth control cause weight gain. "Women do tend to gain weight over time, but as far as we could tell there is no evidence of a causal relationship between taking birth control pills and weight gain," researcher Laureen Lopez, PhD, tells WebMD. Lopez and colleagues with the nonprofit reproductive advocacy group Family Health International reviewed 44 hormonal contraceptive trials that included information about the study participants' weight fluctuations. Three of the trials compared hormonal contraceptives to inactive placebo, and none showed a significant difference in weight gain among either group. Forty-one studies compared different types, dosages, or regimens of hormonal contraception. While women in some of the studies did gain weight, Lopez says there was little to suggest that the weight gain was caused by hormonal contraceptive use. "Any weight gains that were noted were minimal in terms of health significance," she says. The researchers concluded that it is not possible to say for sure that hormonal contraceptives don't cause weight gain. But they added that "no large effect (was) evident" in the studies they reviewed. Their analysis appears in the latest issue of the Cochrane Library, published by the nonprofit health policy review group Cochrane Collaborative. 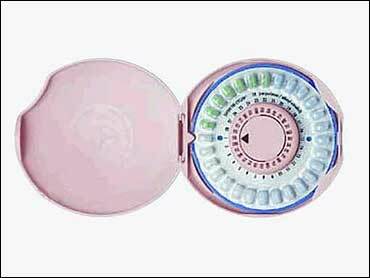 Fear of gaining weight is one of the most common reasons women choose less effective methods of birth control over the pill and other hormonal contraceptives, says Columbia University assistant professor of ob-gyn Katharine O'Connell, MD. And weight gain is commonly cited as a reason for getting off the pill, she adds. She tells WebMD that the belief that the pill makes you fat is especially strong among young women. And she says many doctors still warn their patients taking hormonal contraceptives about possible weight gain. O'Connell and colleagues at Columbia have completed their own review of a different group of studies examining birth control and weight gain. They also found little evidence of a connection. And in a recently published study comparing low-dose birth control pills to a vaginal contraceptive ring, they reported no significant weight gain in either group. "Birth control pills will not make you gain weight, but eating too much and not exercising will," she says. "I know it sounds simplistic, but it is the truth." Sources: Gallo, M.F. Cochrane Library, Jan. 25, 2006, Issue 1; online edition. Laureen Lopez, PhD, research associate, Family Health International, Research Triangle Park, N.C. Katharine O'Connell, MD, assistant clinical professor of ob-gyn, Columbia University, New York City.